Kitchen is the most practical space of your home and needs more attention than your other rooms otherwise it gives a dreadful look. 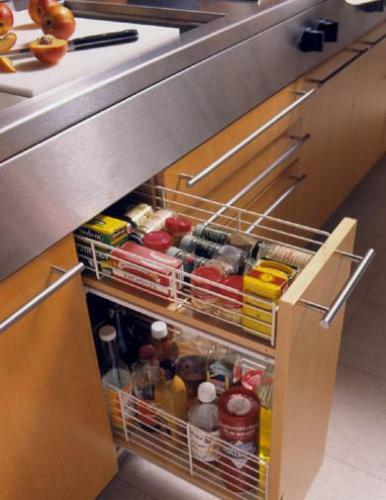 The most recent trend in kitchen organization is to utilize pull-out drawers and base organizers. 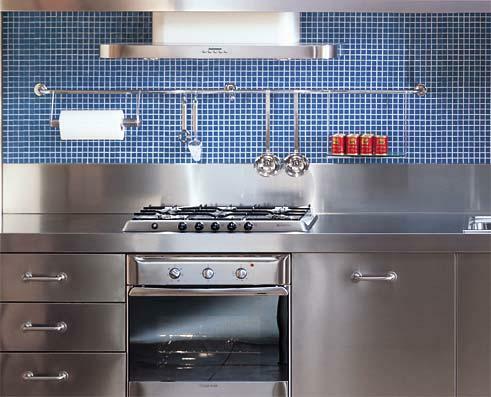 If you are not ready to redesign your kitchen, you can simply implement smart storage ideas for your kitchen. 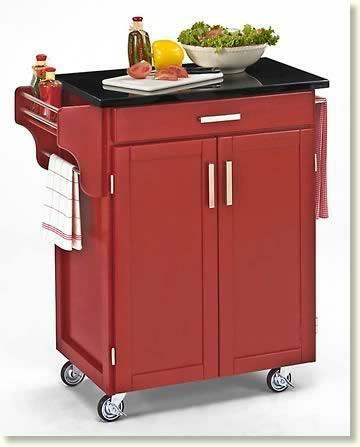 It will definitely enhance the look of your kitchen as well as storage space. Mount small racks on the wall or above the stove. Racks should be installed properly at a perfect level so that the things are easily accessible to you. 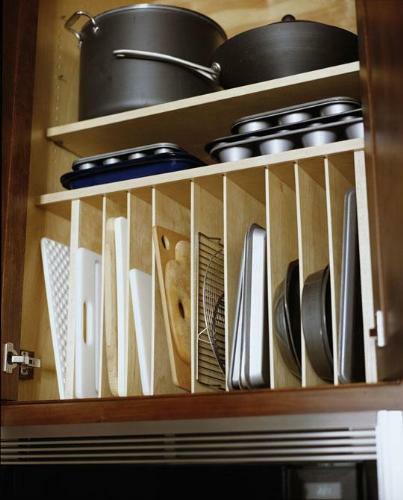 Increase your cabinet storage by adding pegboard panels inside the cabinet doors to hang pans. Maximize your cabinet storage space with recessed shelves. Pull out pantry system having wire shelves prevent the items from falling out and permit easy viewing of inside items. Store dry goods into airtight and containers. Install a steel rail on the wall to store your kitchen tools. You can also add some accessories like spice racks etc. 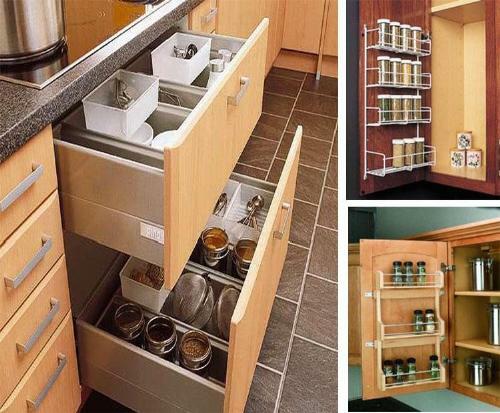 It will make your cabinet spaces free for dishes and food. 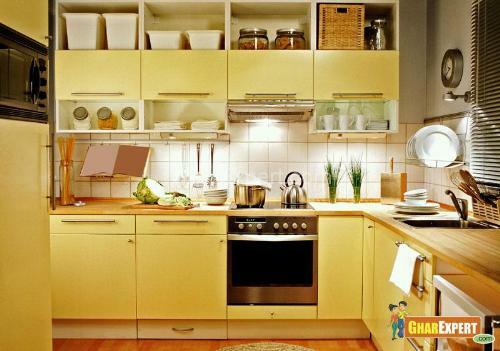 Put kitchen tools near worktop so that you can take them easily while cooking. Keep related items together for easy access. Grouping of similar items in similar locations results in easy search of goods. Build free vertical drawers within cabinet for storage of large trays. You can make a wooden dowel divider as it can be moved later if you want. 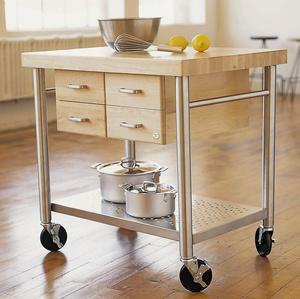 Use readymade kitchen islands with wheels or without wheels. These movable islands contain storage compartments where you can store anything. You can take it anywhere in your home. Trolleys are better option for this. Large kitchens have built in islands but some have not.